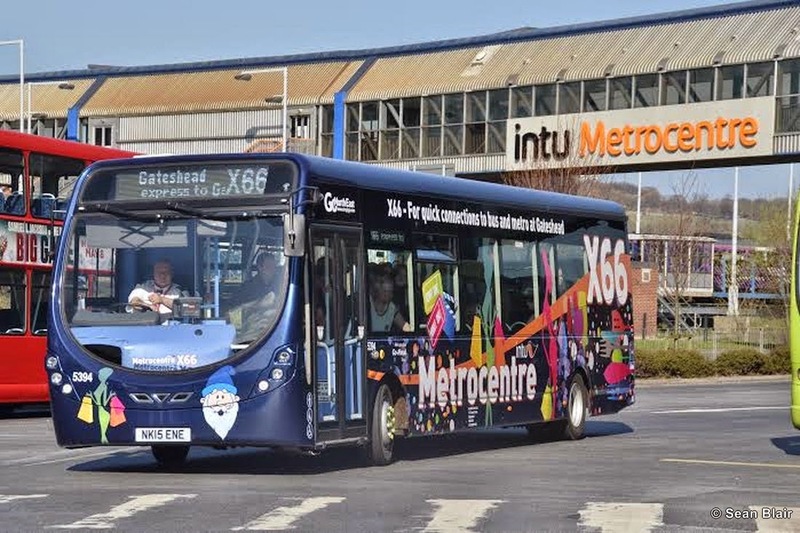 Go North East operate the shuttle service X66 which operates between Gateshead Interchange and the Metrocentre, one of the UK's largest shopping centres. 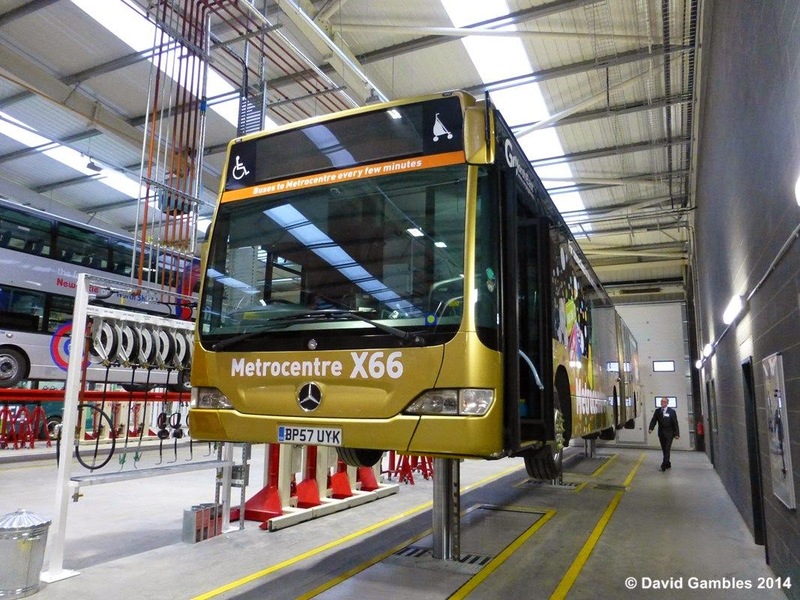 Recently Go North East decided to withdraw all their bendy-bus vehicles from the fleet which saw an end to articulated bus operations in the North East- something which has been around for 15 years. 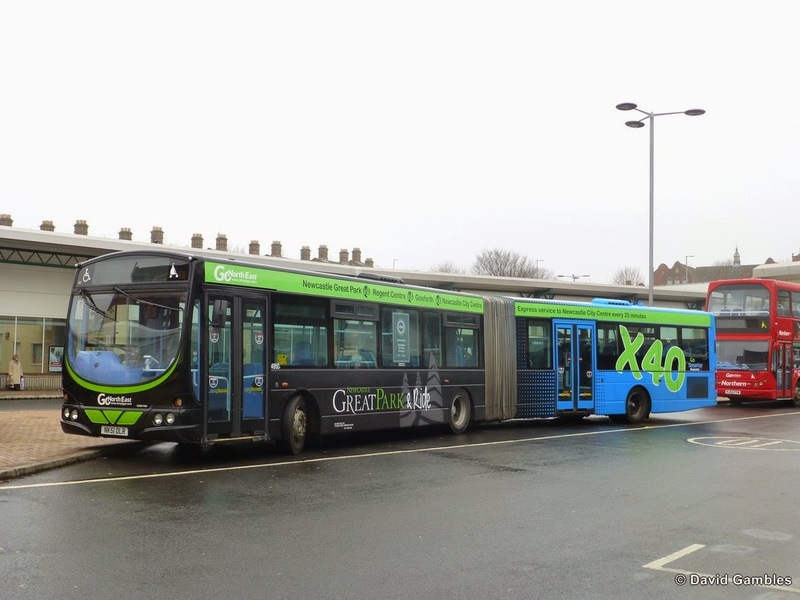 This saw the withdrawal of the 4 Mercedes-Benz O530G’s from the X66 and the 4 Scania L94UA / Wright Solar Fusion’s from the Great Park and Ride service X40. 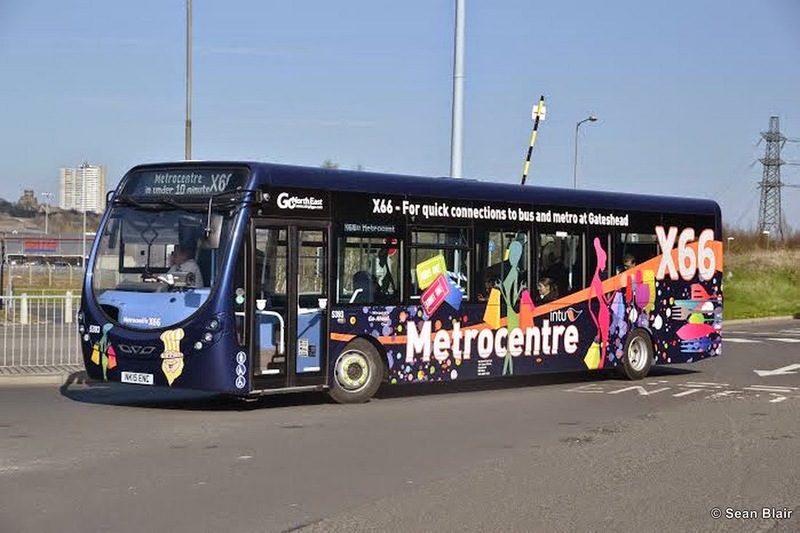 Since withdrawing the bendy buses, Go North East has been using a random selection of standard Northern vehicles on the X66 such as Wright Solar’s, Optare Versa’s and Wright Renowns and the service has struggled with capacity as the vehicles get so overcrowded. 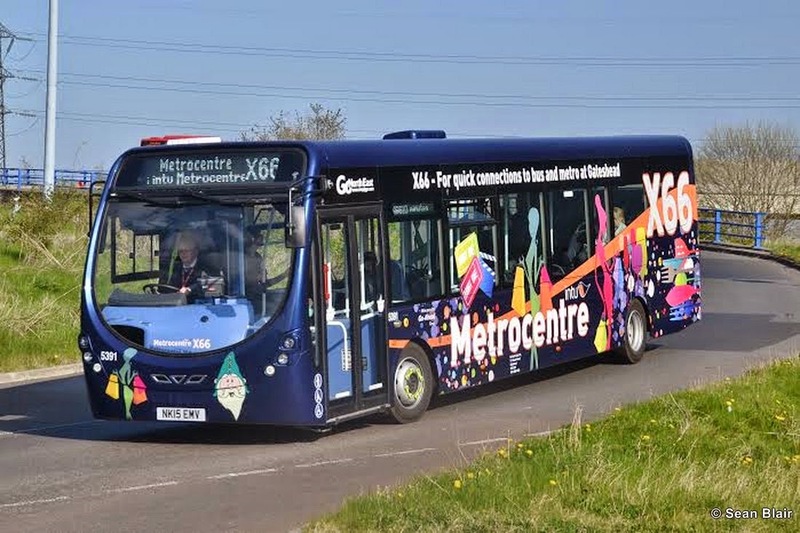 A brand new batch of Wright Streetlites are now being introduced but still do not offer the capacity of the bendibuses..
"Red Kite" and "X66" branded services, and these vehicles will carry fleet numbers 5391 - 5419. More vehicles have been ordered as part of the company's 2014/15 financial year. 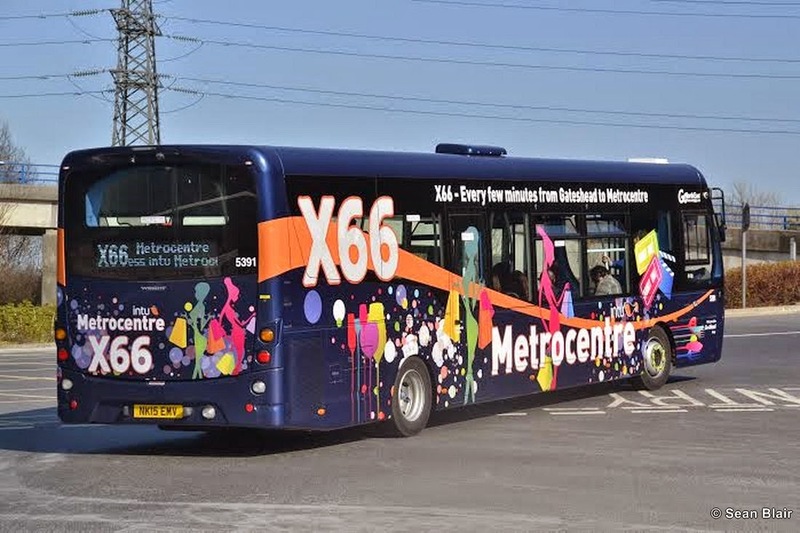 5391 - 5394 will be allocated to Riverside Depot to be deployed on service X66. 5395 - 5401 will be allocated to Stanley Depot to be deployed on services 8/78. 5402 - 5409 will be allocated to Chester-le-Street Depot to be deployed on services 8/78. 5410 - 5419 will be allocated to Stanley Depot to be deployed on services 45/46. All four of the Wright Streetlite DF/Wright Streetlite Micro-Hybrid vehicles for service X66 have now been put into service. The Wright StreetLites are powered by Cummins ISBE5 Euro V engines and use Voith D854 5E automatic gearboxes. Wrights Micro Hybrid technology recovers and stores braking energy to power pneumatics, hydraulics and electrical items, significantly reducing overall fuel consumption. The four Wright Streetlite DF/Wright Streetlite Micro-Hybrid vehicles for service X66 are of a lower specification than the remaining twenty five. All vehicles feature full white LED displays on the front, side and rear, but there are differences on the interior specification between the two batches. 5391 - 5394 feature Esteban Civic V2 seating complete with e-leather, whilst the remaining vehicles feature more comfortable Esteban Civic V3 seating. 5391 - 5394 do not feature any "new" on-board technology such as the provision of Next Stop Announcements, power sockets and free Wi-Fi. 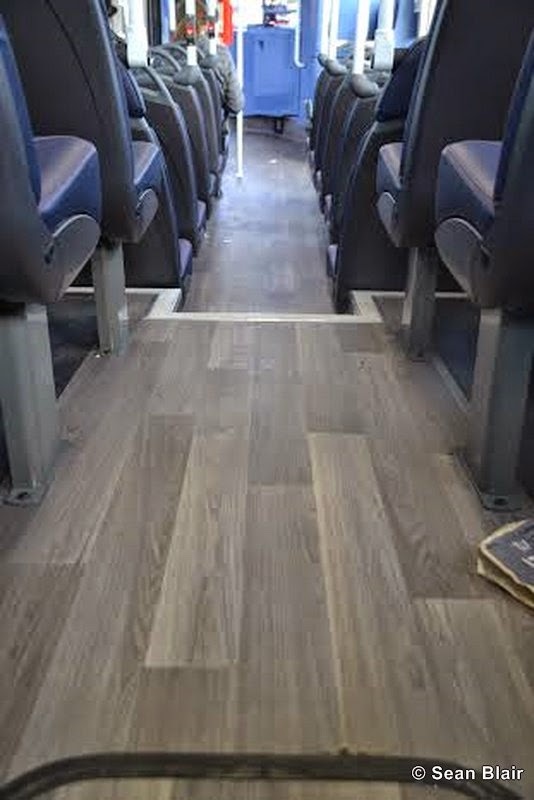 All vehicles feature distinctive two-colour 'Wood Effect' flooring, and these vehicles additionally feature accent lighting, fitted underneath seats to provide additional lighting on the gangway. A fleet of Scania L94UA's ran on the X66 route before being replaced by the ex London Citaros. The Scanias spent their final days on the Great Park & Ride service..
We acknowledge that most of the information above was gained from the North East Buses Forum website.http://northeastbuses.co.uk/news/article.php?id=505.